Barceló Hotel's portfolio includes some of the world's best-known and desirable hotels, ideal for conferences, meetings or training events, each offering superb facilities and outstanding customer service. 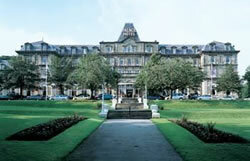 This has now been expanded with the recent acquisition of Paramount Hotels in the UK. Barceló Hotels and Resorts, a Spanish hospitality company, operates over 160 hotels and nine conference venues in the Caribbean, Central America, Europe, USA and North Africa. Its dedicated events and meetings arm, MeetBarceló, offers an inspiring choice of outstanding contemporary and traditional venues in 15 different countries around the globe. Barceló's portfolio of resorts and hotels is ideal for conferences, meetings or training events, each offering superb facilities and outstanding customer service. Conference organizers looking to create outstanding events overseas are supported every step of the way by MeetBarceló's professional events experts. A dedicated events team is on site at every venue to assist with the planning and smooth delivery of every occasion, whatever its scope and size. To find out more information on what Barceló's Hotels and Resorts overseas can offer your event, call the Meet Barceló team on 01455 898584. Computer rentals and AV equipment available thru your Tech Travel Agent from Rentacomputer.com. With delivery to 1000 Cities worldwide, service from your Tech Travel Agent is most convenient and the service is second to none.